What a spectacular end to Outdoor Gelderland 2017! 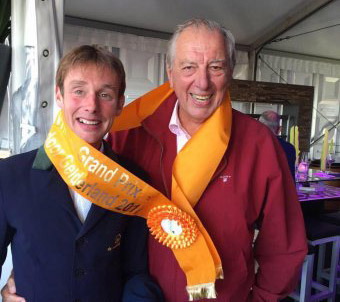 Not just one but two winners of the CSI3* Grand Prix. Wilton Porter and Bart Bles both rode exactly the same time during the jump-off. Congratulations Bart Bles with this victory!! What a party! We are so proud! Congratulations to Bart and the entire team at Havikerwaard!! A crown for hard work and never giving up! Mr Jan van de Kamp with Bart Bles! For further information follow us on Facebook!